You can purchase books at these bookstores. Click here for additional contact information for these book stores. 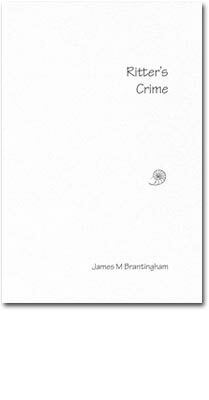 Seattle Small Books Company is pleased to publish this volume of Nate Brantingham’s poetry. These poems have been selected from poetry read at slams and readings in Spokane, WA where Nate is a well-known open-mic poet. 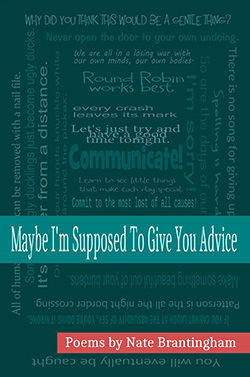 You can purchase Maybe I'm Supposed to Give You Advice at Auntie's Bookstore, or online at Amazon. 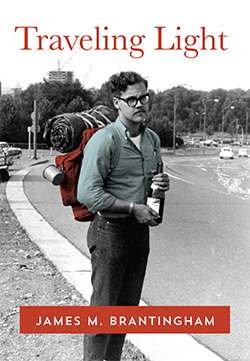 This book is a collection of short prose and poetry describing some of the events in Jim's travels in the US, Mexico and Europe. They constitute the "pebbles and chicken scratch" found in the pockets of Jim's memory. You can purchase Traveling Light at Ravenna Third Place Books, Elliott Bay Book Company, Auntie's Bookstore, or online at Amazon. 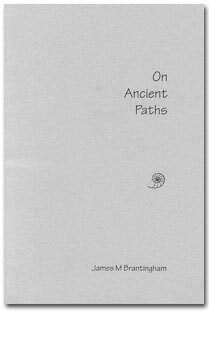 On Ancient Paths, originally published in 2005, is now available to read in its entirety online. This effort is due in large part to Nate Brantingham and Sarah Kulfan whose combined efforts transformed the book into interactive web pages. - Linda J. Clifton, Ph.D.
You can purchase The Winnowing Fan at Ravenna Third Place Books, or online at Amazon. Ritter is a ditch digger in the trenches of a very wet Seattle winter. He recalls voices from poets, both classic and modern, to lift his spirits from the trash-filled ditches to payday. A very short book, but very long on literature--from Hesiod, Homer, Horace, & from Dante to Pound. "This is a book I've been waiting for—for roughly 16 years. 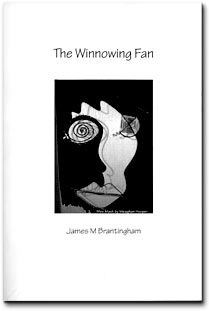 I was impressed back in '89 that Jim Brantingham seemed as handy with Horace as with a sawhorse. As a former member of Local 22, United Brotherhood of Carpenters & Joiners, I felt deep sympathy for this gentleman/scholar. I liked the seamlessness of his erudition and his craftsmanship; he was a writer I thought I could trust. I continue to admire him for these reasons and now, of course, I admire his indomitability as well." You can purchase Ritter's Crime at Ravenna Third Place Books, or online at Amazon.